If you travel the A515 between Buxton and Ashbourne. As you approach the junction for Parsley Hay and Youlgrave, you might just spot a new building along the route. A new round-house has been built alongside the High Peak Trail at Parsley Hay, near Hartington. The Roundhouse has been built by Croatian traditional craftsmen using Croation dry stone walling techniques. The building is called a “Kažun” . The limestone shepherds hut is a gift from the Republic of Croatia as part of a number of events to mark Croatia’s entry to the European Union. The hut or Kažun is a small, circular shelter with a conical roof. In it’s native Croatia they were built mainly in the 18th and 19th centuries for farm workers and animals in the limestone countryside of Istria. 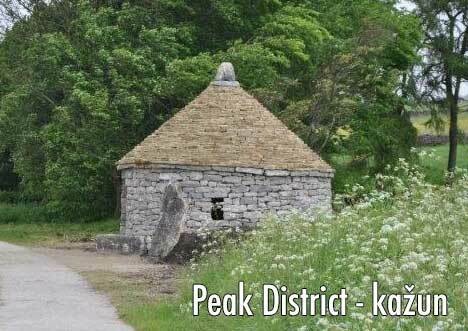 The regional government of Istria has supported the building of the Kažun here in the Derbyshire Peaks. Parsley Hay, plan to use the Kažun for education visits and as a shelter for walkers and cyclists. 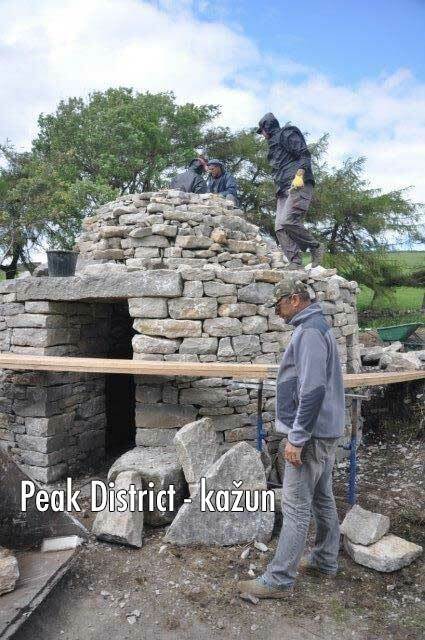 Information panels about the Peak District and European heritage will be placed inside the Kažun. On July 5th 2013, there will be an official opening ceremony featuring, Morris dancing and Croatian music as well as visiting Croatian dignitaries. The local newspaper, The Buxton Advertiser ran an article on the Kažun last week. Emeritus Professor of Civil Engineering at the University of Glasgow, Nenad Bicanic is one of the project’s organisers. Working with dry stone wall restorer Branko Obanic they chose a site in the Derbyshire Peak District because of its shared heritage of dry stone walling and links with the Council of Europe and the European Union. We’ll be helping @WelcomeCroatia mark the historic accession of Croatia @VladaRH to the European Union on Friday this week. For more photos of the Kazun, during it’s construction, please visit and like our Facebook Page.